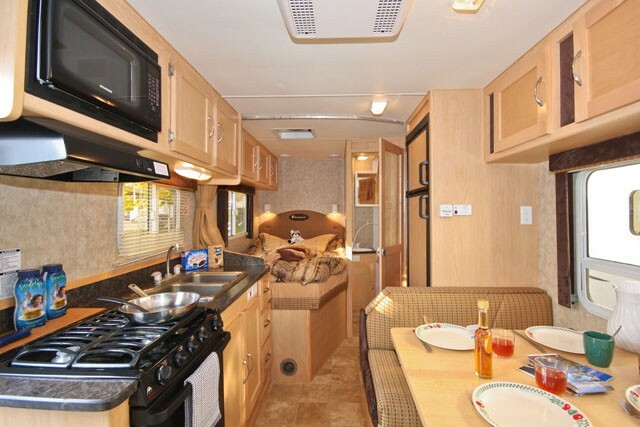 Have you experienced Four Seasons RV Rental? Help others learn about this company by sharing your first-hand information with other road-trippers. A division of Fraserway RV, Four Seasons RV Rental is an economy RV company with over 250 units in service with 5 branches all over Canada. 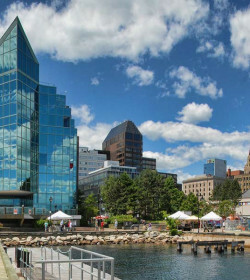 Considered a premier economy RV business, Four Seasons RV Rental was founded in 2006, and now part of the highly-reliable RV brand in Canada―Fraserway RV. 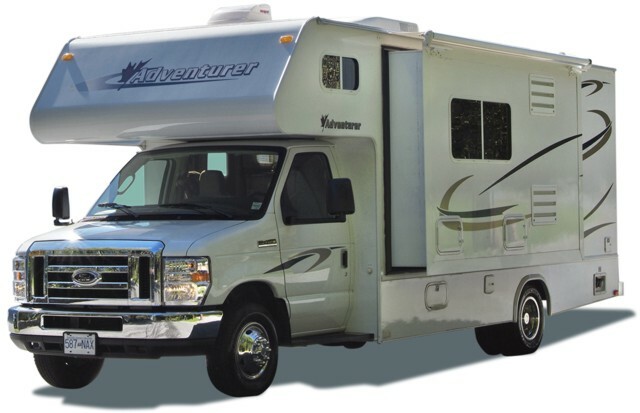 Renting a unit from them means paying less for a fully-equipped motorhome. Not only that, you get to enjoy additional perks such as no fee for additional drivers and storage of your luggage at their station. Even if these vehicles are economically priced, their rental fleet is still an attraction. 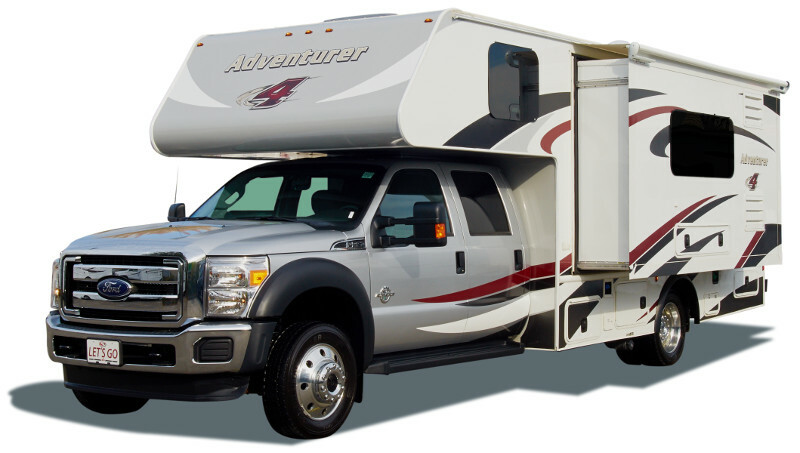 Focusing only on van conversions and Class C motorhomes, there are 6 rentals options for different family sizes. Conveniently, the vehicles are allowed into the USA. 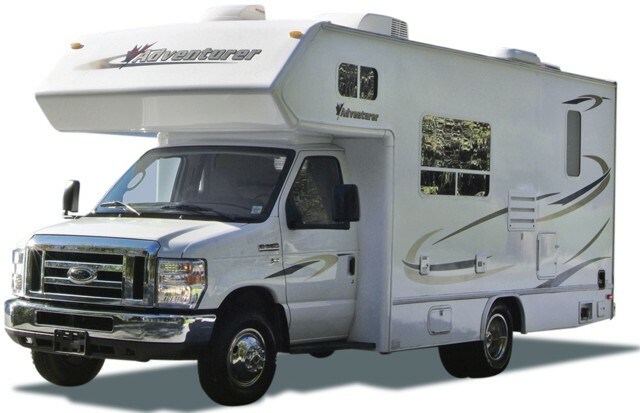 And since the company is a branch of Fraserway RV, the motorhomes are well serviced and not overly old. Perfect for couples, this small yet efficient unit features the basics and some extras. The middle section is for the living quarters that converts into a double bed. The entire rear area is for the shower and toilet. The passenger seat beside the driver’s seat is a swivel-style so you can easily make use of the pop table near the entry step. 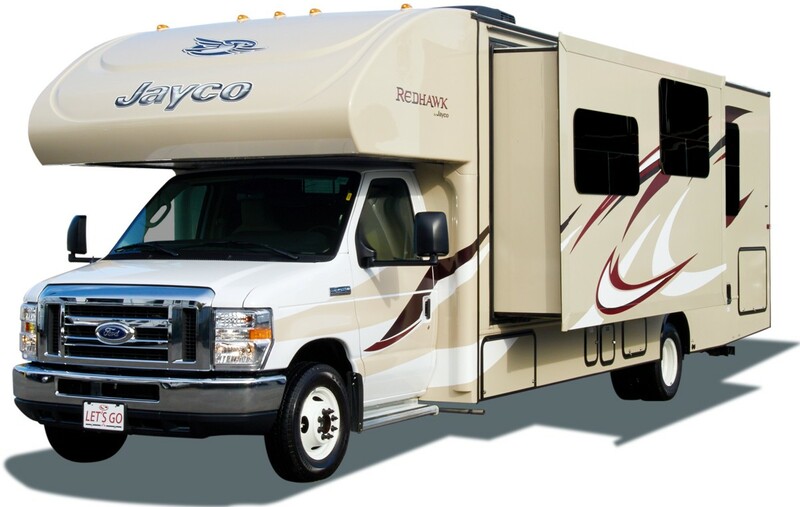 The smallest motorhome is comfortable for 3 persons but sleeps up to 4. 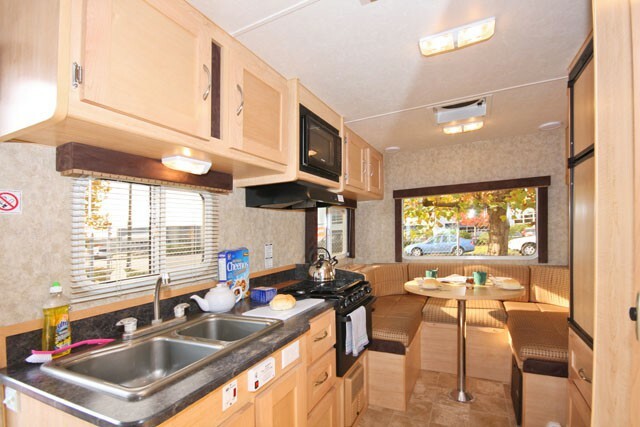 A non-slide unit, the interior is well-set so that the rear lounge/ dining area and front seat convert into double beds. Accordingly, the center space is allocated for the kitchen, bathroom, and storage. For a family of 5, the C-Medium is the best option. The added length provides a space for a permanent rear bedroom, which is beside the bathroom. 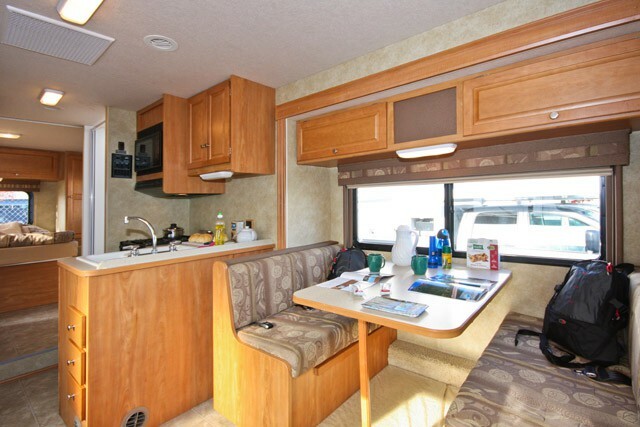 Also, this motorhome now comes with a dinette that also alternates as a bed with extra windows in the back area. 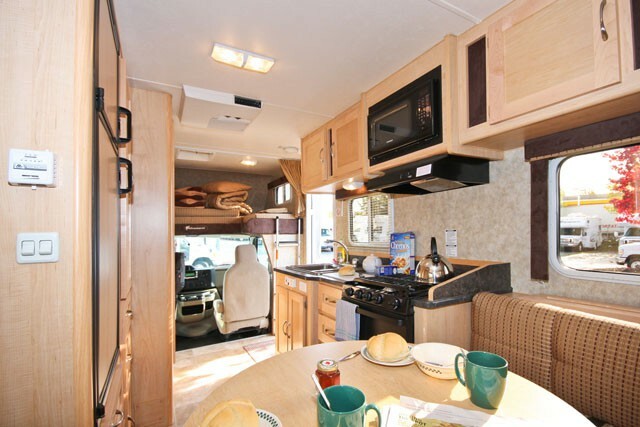 The C-Large provides accommodation also for up to 5 people. So, if you love the C-Medium but opting for more interior space, then this one is the answer. Furnished with one slide-out, you can comfortably walk around inside without bumping the other passengers. All in all, this unit has pretty the same features with the C-Medium but comfier. The biggest option on the fleet is the C-XLarge that caters a group of 6. 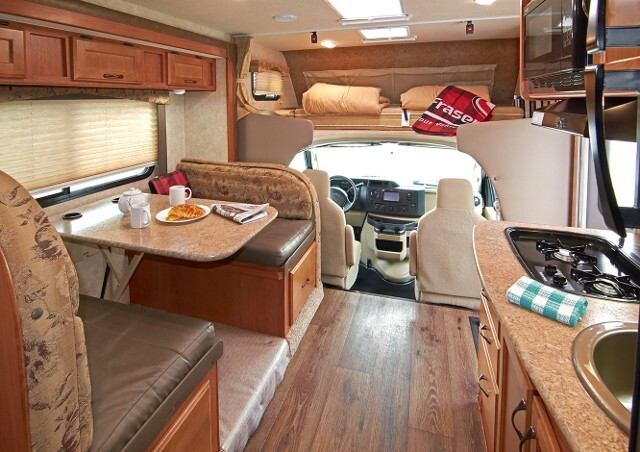 This Class C is the most spacious and could pass as the most fully-equipped unit with additional facilities like a sofa bed, ward at the bedroom, and awning. Also, the bathroom is designed with a separate shower and toilet. Sleeping up to 4 persons, this automatic Ford model is very compact and effective on the road. The front area has 4 seats, including the driver’s seat. 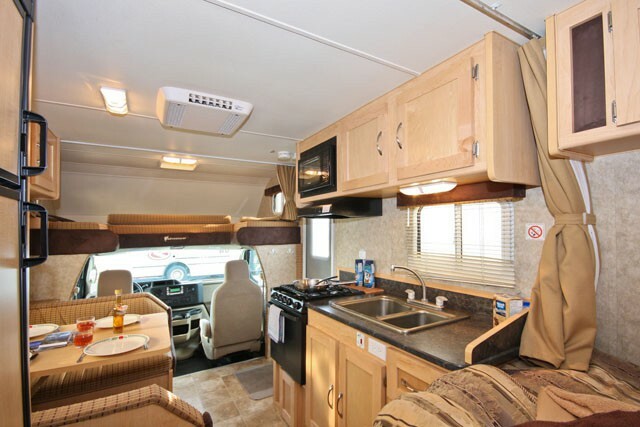 At the middle are the bathroom, kitchen, and dinette bed. The back area, which is a spacious lounge, converts into a large double bed with ultimate privacy. 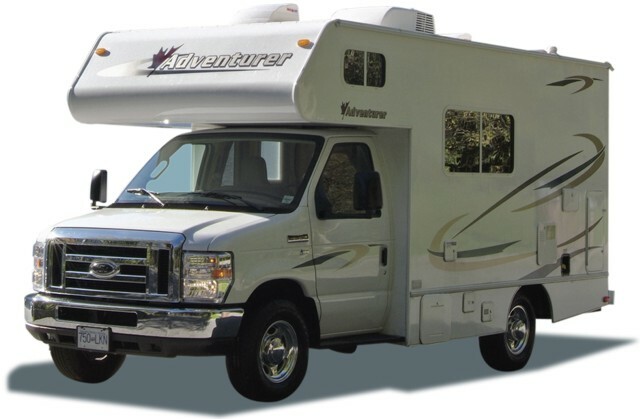 For the insurance, Four Seasons RV Rental provides liability coverage to a maximum of CAD $5,000,000.00 (bodily injury and property damage liability). Insurance deductible or renter’s liability amounts to CAD $7, 500 per occurrence. 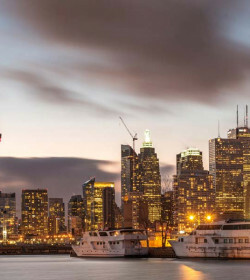 At your own preference, you can avail of the CDR or Collision Deductible Reduction agreement for $26/ day to reduce the responsibility to $7, 500 to CAD $750. 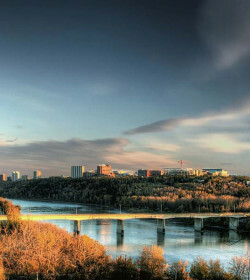 with a minimum charge of $175.00 regardless of rental duration. Another coverage is the CDW or Collision Deductible Waiver agreement at $13/ day to limit the responsibility to CAD $0. Both include coverage for tire, windshield, and general glass damage. 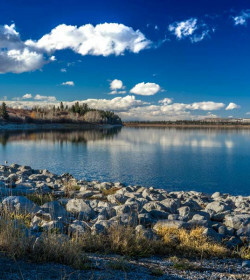 Four Seasons RV Rental is one of the most in-demand RV rental companies in Canada with multiple branches and lots of rental options priced at economical rates Plus, they are part of a notable RV business in Canada, Fraser RV, which adds ups to their good reputation. 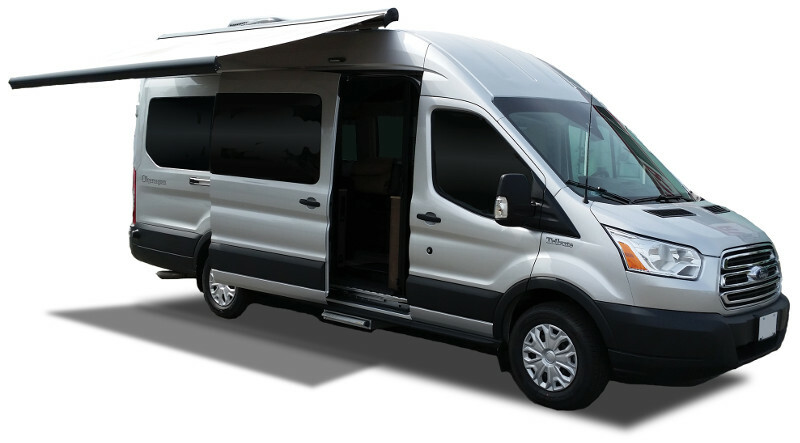 If you’re looking for an economical RV rental, Four Seasons RV Rental offers their van conversions and Class C motorhomes in different sizes. 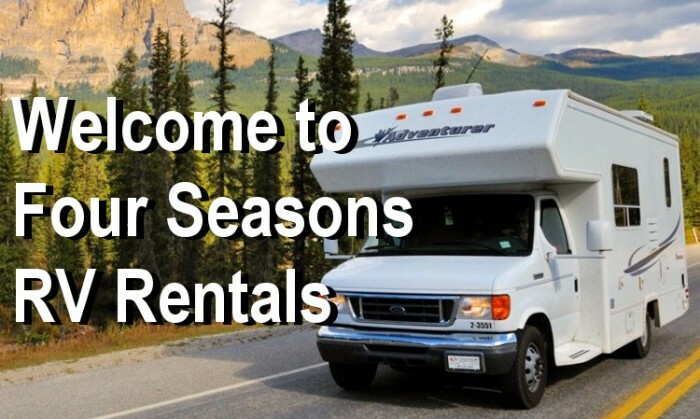 Have you experienced Four Seasons RV Rental?